Get state-of-the-art cardiac exams at North Shore Medical Center. Cardiac exams are critical for diagnosing cardiac conditions. State-of-the-art cardiac exams are available at the top-rated NSMC Heart Center at North Shore Medical Center. Learn more about NSMC’s Heart Center and cardiac exams. Stress tests--cardiac exams that measure the reaction of the heart to an increase in demand for oxygen. 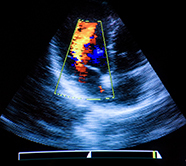 Cardiac ultrasound exams--these identify the size and functional level of the heart muscle and valves. Tilt table exams--these help identify why a patient may be experiencing fainting spells by enabling the patient to faint under controlled conditions. Holter monitors and event monitors– testing devices that determine whether a patient's heart is experiencing irregular rhythms. By administering these advanced cardiac exams, NSMC cardiologists and cardiac surgeons get a detailed profile of the heart's function. All cardiac exams are administrated by physicians and clinically trained technicians at our cardiac facilities in Salem and Danvers. A leading provider of cardiac exams and cardiovascular care. Through our long-standing collaboration with Massachusetts General Hospital, NSMC has developed a world-class interventional cardiology program, including cardiac exams. Patients requiring cardiac surgery have the procedure done by cardio vascular surgeons at Mass General, while all other aspects of post-operative care are provided through the NSMC Heart Center. Comprehensive services from cardiac exams to heart failure care. Angioplasty – a life-saving procedure that can quickly open blocked arteries in patients suffering a heart attack. Electrophysiology – a procedure providing diagnostic treatment for irregular heart rhythm conditions (arrhythmias). Heart failure program – this program provides comprehensive education to heart failure patients to help them successfully manage their illness after leaving the hospital. The NSMC Heart Center has been recognized as top-performing in heart failure care by U.S.News and World Report. Learn more about cardiac exams and cardiac surgery Boston. To find other physicians and specialists, such as a primary care physician, a gynecologic surgeon, hyperhidrosis treatment expert, internal medicine specialist or a North Shore orthopedics doctor, use our Find a Doctor service.